Courtesy of Barry Estates, Jason Barry. $2MM PRICE DROP!!!! Live in luxury on the sand in the coveted Del Mar Beach Colony. 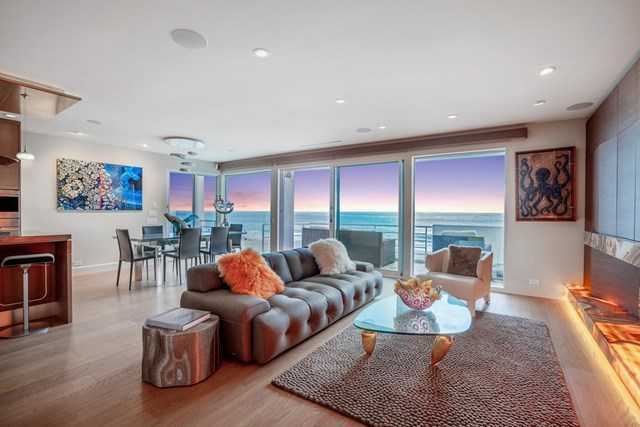 Private & securely gated, this FULLY REMODELED contemporary chic beach home offers Modern amenities & extraordinary finishes that blend comfort & high style. Vanishing glass doors open to the fresh salty air and the breathtaking ocean views. Luxury main floor master retreat w/fireplace & sleek bath, 2 en suite Br’s, gourmet kitchen opens to a large deck to enjoy spectacular sunsets. 2 car garage + 4 guest parking spaces.